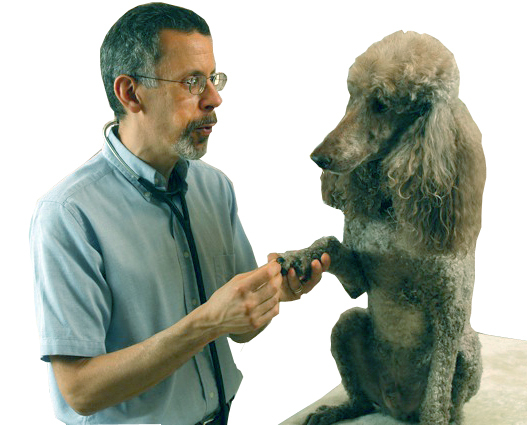 Jeffrey Feinman, BA, VMD, CVH, has been a licensed veterinarian since 1985. He holds degrees in both molecular biology and veterinary medicine from the University of Pennsylvania, where he was the first dual-degree recipient in Penn’s prestigious University Scholar program. After establishing a highly successful practice, based in part on the then-novel idea of making house calls to his animal patients, by the 1990s he had become concerned about the increasing rates of allergy, cancer and other degenerative diseases he was seeing. 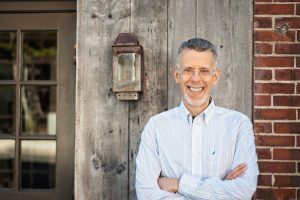 Frustrated with the results of conventional therapy, he soon developed an interest in natural, holistic-oriented therapies. While this new approach produced some promising results, many patients still did not respond fully to holistic treatment. Dr. Jeff then turned to his molecular biology training to explore more effective treatments, which in turn led him to the discovery of homeopathy’s remarkable successes in treating otherwise fatal epidemics in the pre-antibiotic era. After much reading and some experimentation with the effects of homeopathic medicines (“remedies”) on himself and his pets, he began to incorporate them into his practice. 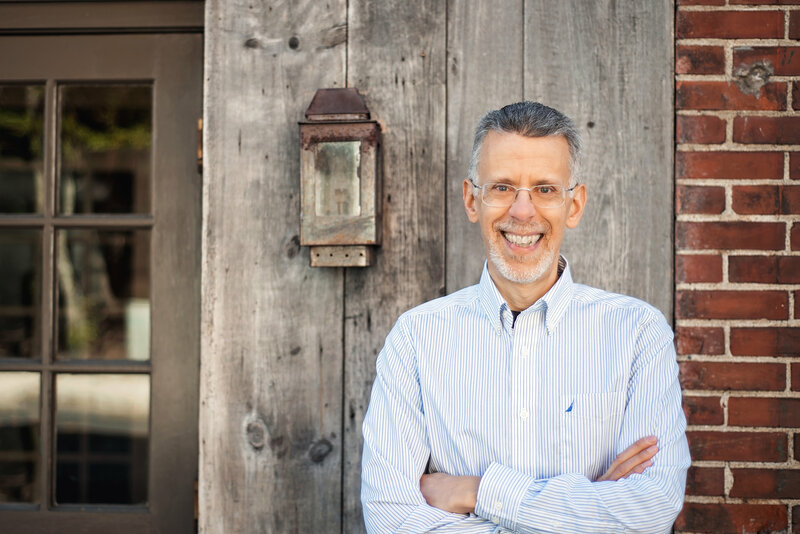 Following advanced training in Dr. Richard Pitcairn’s Professional and Advanced Veterinary Homeopathy courses, in 2000 Dr. Jeff became the first Certified Veterinary Homeopath in the state of Connecticut, establishing a largely homeopathic practice informed by modern medical diagnostics. He continued his homeopathic education with NESH, as well as David Little and Andre´Saine. In 2016 Dr. Jeff founded Holistic Actions!, an online academy where companion animal guardians can learn how to help their pets have better lives using their natural Vitality and Balance. He has published in the prestigious Proceedings of the National Academy of Sciences of the United States of America, the Journal of the American Veterinary Medical Association, and other publications. His article on the Vitality and Balance System will appear in the Spring 2019 issue of the Journal of the American Holistic Veterinary Medical Association. Dr. Jeff and his wonderful wife Amy live in Weston, CT with rescued dogs Vanya and Archie, and a Rex cat named Tigger. Jeff studied with us from 2003-2005 and has since joined us occasionally for clinical and reunion class weekends. We love when Jeff is in the house, because he brings decades of work with animals to bear, has lots of experience treating animals and their families over time and comes with lots of pertinent questions which help everyone, us included, continue our learning! We are also appreciative of the role Jeff plays in the world of advocacy for homeopathic treatment of animals. Jeff is our April 2019 Featured Alumnus. Return to NESH Alumni Spotlight page to learn about other distinguished NESH alumni.